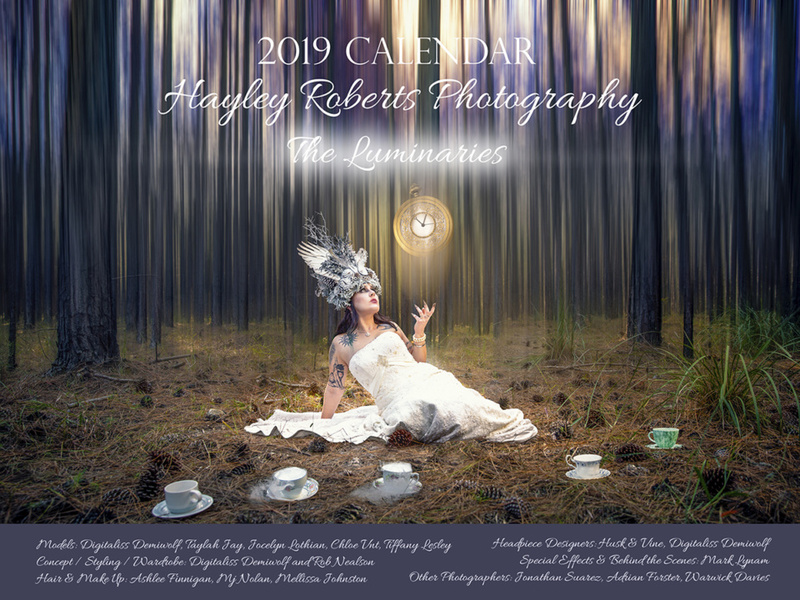 Well folks another year has rolled on by so it’s time to announce my 2019 calendar! This year’s calendar features 16 images from the dark ‘Alice in Wonderland’ themed shoot I worked on earlier this year. You can read about the experience of shooting these images at this blog post. It was a wild ride! My calendar sells out every year so if you’d love to give these dark fairy tales as a Christmas gift or keep one for yourself, get in quick! These images will only be featured in this calendar and never released as prints or products so it’s the only way to collect the images from this series. The calendar is printed on glossy 200gsm paper, is wire bound and measures 21 x 28cm when closed. It’s available for $20 Australian (plus $10 for Australian postage or $25 to ship worldwide) and can be purchased from me directly (via my contact page or send me a message on Facebook). I accept PayPal, bank deposit or cash. Please feel free to use the PayPal button below which will charge $30 with local postage already applied. Please note the 2019 calendar is now out of stock.